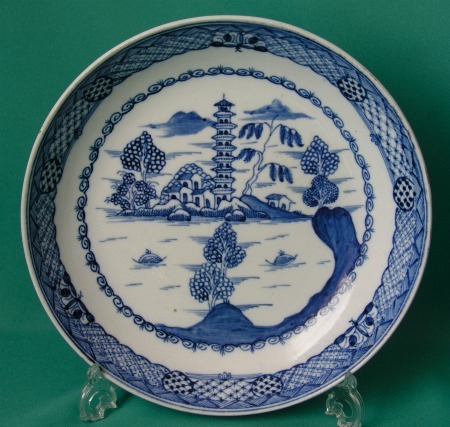 A Rare Early Coalport Porcelain Plate c.1796-1800, painted in underglaze blue with the "Tower" Pattern. Dimensions: 19.8 cm diam. Fine condition. Unmarked. *Reff. 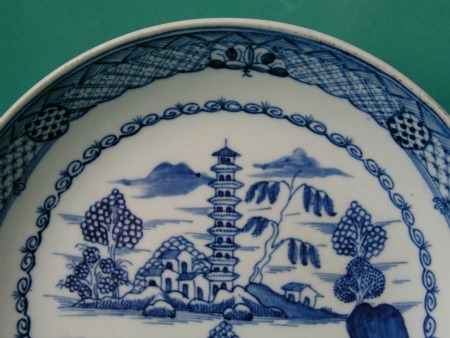 See "Godden's Guide to English Blue and White Porcelain" by Geoffrey A. Godden, page 488, plate 614. 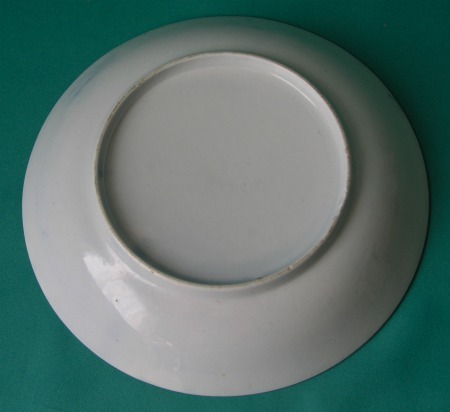 The early porcelains 1796-1815 are mostly unmarked. A very rare painted mark in red c.1805-10. A distinctive impressed mark c.1815-1825. 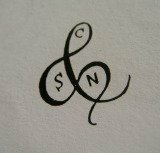 The Society of Arts felspar backstamp, printed in brown or purple c.1820-30. A Printed mark in blue c.1830-50. Various 19th century painted marks incl. 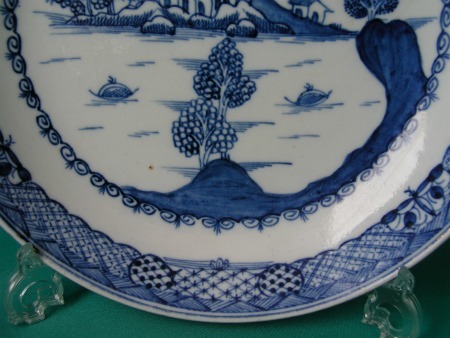 imitation of Meissen and Chelsea. 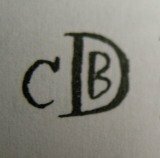 CBD Monogram painted in gold or blue c.1850-65. A painted mark in gold on ornamental wares c. 1860-75. 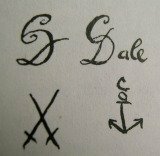 Printed mark (in brown) on tablewares c.1870-80. Crown printed marks (in green or pink) c.1881-1920.